Make sure you see all your debts in the calculator. We make this easy to get the most up to date balances for all your accounts, just click on the Add button to add more. You should see your total debt on the top post linking up your accounts. 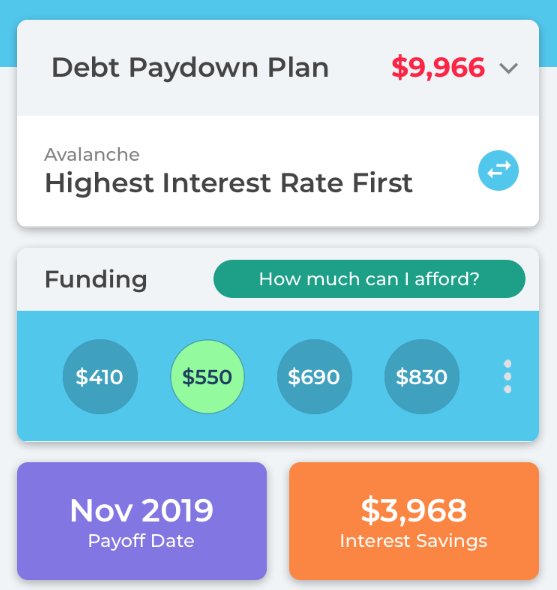 Choose the debt reduction method you want to use (Avalanche or Snowball). Avalanche is the most efficient (saves the most) but Snowball has been proven to be most effective at keeping people on their plan. You can read more about here. It is important that you determine what you think you can afford to pay towards your debts. 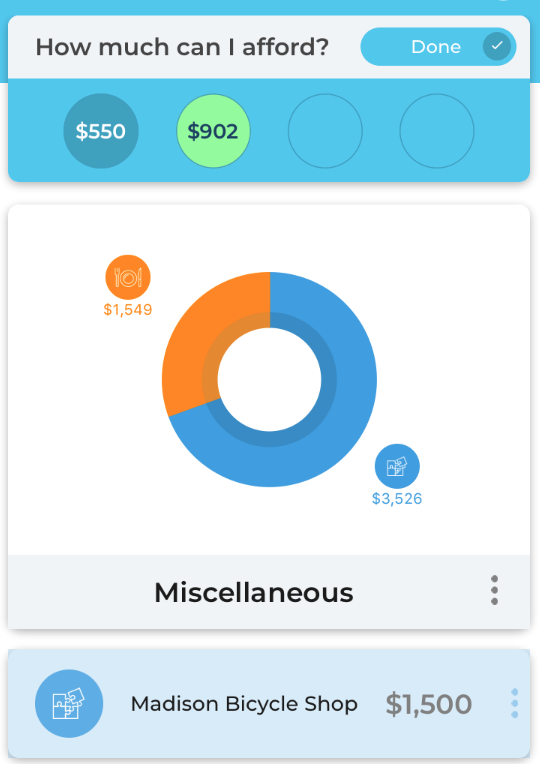 If you click on the "How much can I afford" button you can will be able to see your recent spending by category. 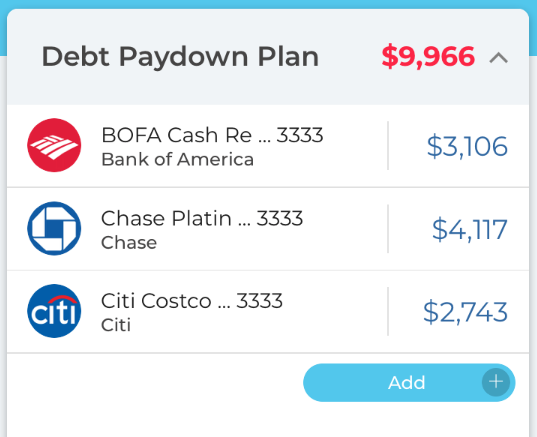 Use this as a measure of where you think you might be able to cut back to apply funding towards your debt goals. It is important that you work with the produced outcomes and feel comfortable on both the funding you are applying towards your debt and the amount you will save. 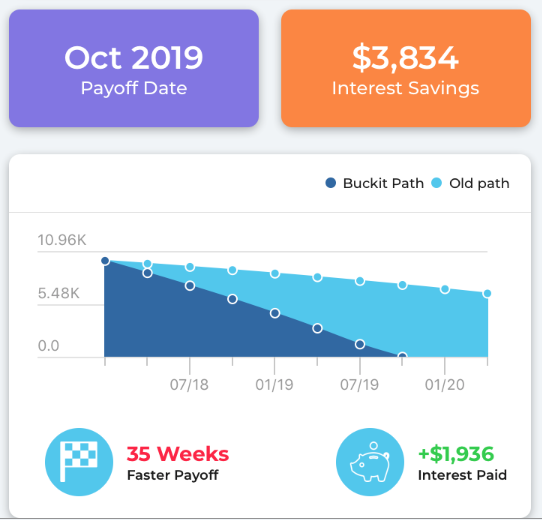 When you are all done playing with the numbers just click, "I love it" to save your plan and start rolling towards a debt free future.